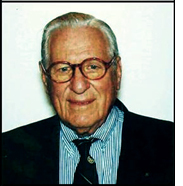 One of the many wonderful memories of late NY Rotarian Barney Barnet comes from an event in which he was instrumental back in 2004. Two Rotary Clubs from the unrecognized Turkish Republic of Northern Cyprus had been having Rotary meetings regularly without charters from Rotary International for the previous 25 years. 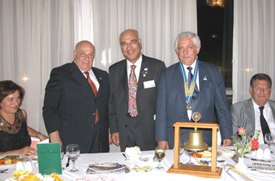 Rotarians from Northern Cyprus came to RCNY and sought our help. 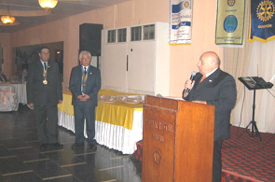 We agreed to help establish the charters with one condition. 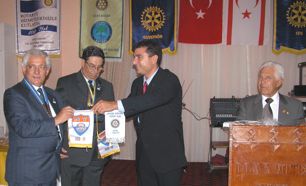 Rotary Clubs from the Northern Turkish side would work with clubs from the Southern Greek side, regardless of political differences. 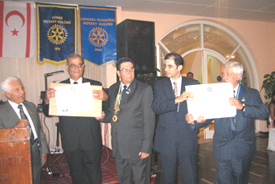 They agreed and RCNY facilitated International Charters for the two Clubs on June 23, 2004 in just 3 weeks. 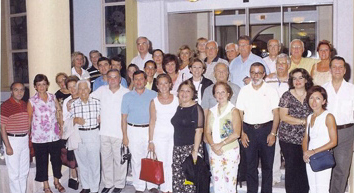 This historical project was coordinated under the leadership of Sylvan (Barney) Barnet assisted by Giorgio Balestrieri and Kaan Soyak. 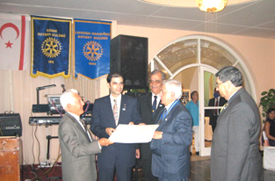 Kaan Soyak, traveled to Girne on behalf of RCNY for the presentation ceremony that June and delivered the Charters to the Presidents of both the Girne and the Lefkosa Sarayonu Rotary Clubs. 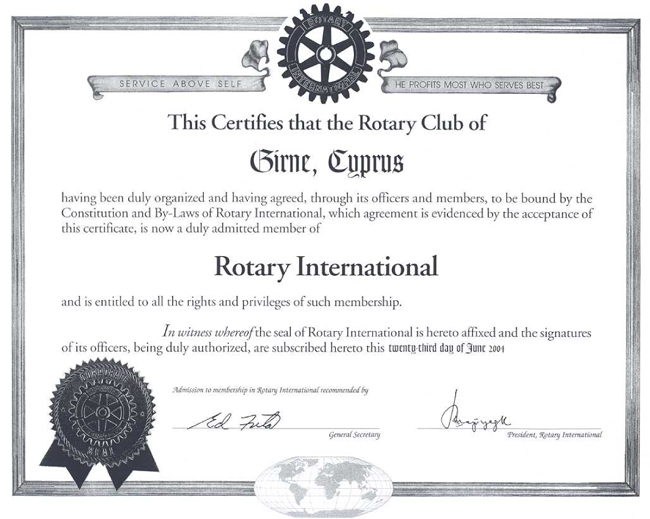 Since then, Rotary Clubs from both North and South have been working on many projects together and have established the cornerstones of all Cyprus talks between private and public delegations under Rotary Principles.